J = histeq(I,hgram) transforms the grayscale image I so that the histogram of the output grayscale image J with length(hgram) bins approximately matches the target histogram hgram. You optionally can perform histogram equalization of grayscale images using a GPU (requires Parallel Computing Toolbox™). For more information, see Image Processing on a GPU. J = histeq(I,n) transforms the grayscale image I, returning in J an grayscale image with n discrete gray levels. A roughly equal number of pixels is mapped to each of the n levels in J, so that the histogram of J is approximately flat. 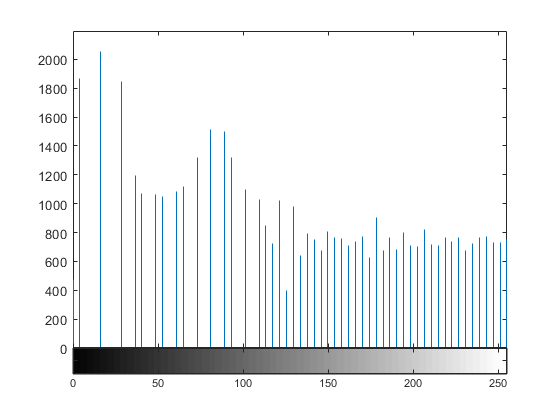 The histogram of J is flatter when n is much smaller than the number of discrete levels in I. [J,T] = histeq(I) returns the grayscale transformation T that maps gray levels in the image I to gray levels in J.
newmap = histeq(X,map) transforms the values in the colormap so that the histogram of the gray component of the indexed image X is approximately flat. It returns the transformed colormap in newmap. newmap = histeq(X,map,hgram) transforms the colormap associated with the indexed image X so that the histogram of the gray component of the indexed image (X,newmap) approximately matches the target histogram hgram. The histeq function returns the transformed colormap in newmap. length(hgram) must be the same as size(map,1). [newmap,T] = histeq(X,___) returns the grayscale transformation T that maps the gray component of map to the gray component of newmap. Enhance the contrast of an intensity image using histogram equalization. Display the original image and the adjusted image. Display a histogram of the original image. Display a histogram of the processed image. 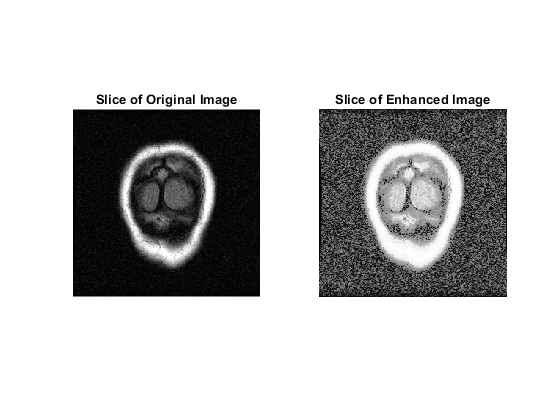 Display the first slice of data for the original image and the contrast-enhanced image. This example performs the same histogram equalization on the GPU. Input grayscale image, specified as a numeric array of any dimension. To perform histogram equalization using a GPU, specify I as a gpuArray that contains a numeric array of any dimension. histeq automatically scales hgram so that sum(hgram)=numel(I). The histogram of J will better match hgram when length(hgram) is much smaller than the number of discrete levels in I. If you perform histogram equalization using a GPU, then you optionally can specify hgram as a gpuArray that contains a numeric vector. Number of discrete gray levels, specified as a scalar. Indexed image, specified as a numeric array of any dimension. The values in X are an index into the colormap map. Colormap, specified as an c-by-3 array. Each row specifies an RGB color value. Output grayscale image, returned as a numeric array of the same size and class as the input image I. If histogram equalization is performed using a GPU, then J is returned as a gpuArray containing a numeric array. Grayscale transformation, returned as a numeric vector. The transformation T maps gray levels in the image I to gray levels in J. If histogram equalization is performed using a GPU, then T is returned as a gpuArray containing a numeric vector. Transformed colormap, specified as an n-by-3 array. Each row specifies an RGB color value. 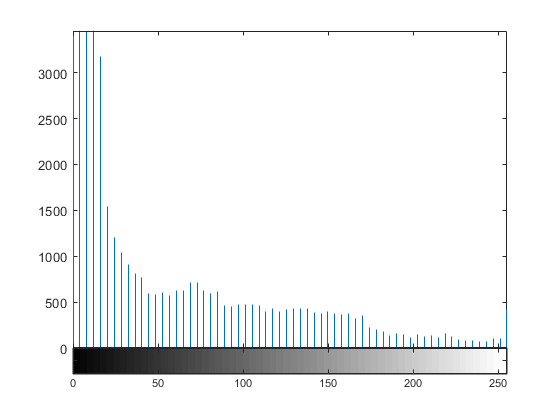 where c0 is the cumulative histogram of A, c1 is the cumulative sum of hgram for all intensities k. This minimization is subject to the constraints that T must be monotonic and c1(T(a)) cannot overshoot c0(a) by more than half the distance between the histogram counts at a. histeq uses the transformation b = T(a) to map the gray levels in X (or the colormap) to their new values. and then applies the previous algorithm. 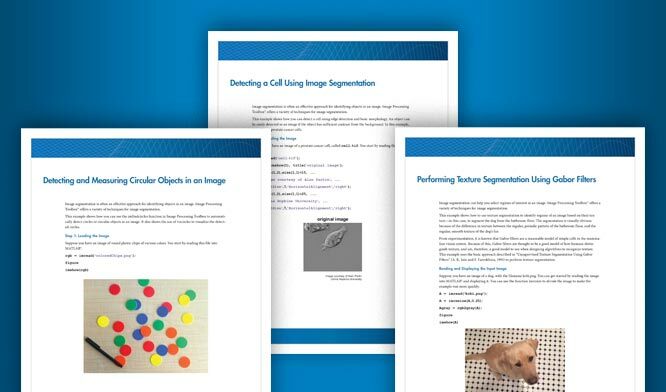 histeq supports the generation of C code (requires MATLAB® Coder™). Note that if you choose the generic MATLAB Host Computer target platform, histeq generates code that uses a precompiled, platform-specific shared library. Use of a shared library preserves performance optimizations but limits the target platforms for which code can be generated. For more information, see Code Generation Using a Shared Library. When generating code, histeq does not support indexed images.